These jurisdictions top the charts in a nation already leading the way in infrastructure, sustainability and global commerce. Mark Rose, CEO of global commercial real estate services firm Avison Young, likes to talk about his company's collaborative and talent-driven culture, and how shifting from a top-down hierarchy to a model with the client in the center of a circle of resources, innovation and investment is one key to the growing global firm's success. But he could just as easily be talking about Canada. "We are in a period of sustainable stability and growth," he says of Avison Young's birthplace. "That comes from a country that has behaved extremely well. Looking back, the banking system avoiding in 2008 the troubles that hit everyone else has been a foundational pillar for Canada's strength. What's not talked about? The communication that comes out of Washington, D.C., has impacted universities, and impacted the objectives of investors around the world." That's because a "disproportionate" slice of top global talent that previously would have looked to the U.S. for higher education are applying to top schools in Canada instead "and Canada is benefiting from that." Other things are aligning well too. Greater Vancouver and Toronto in particular are benefiting from migration to their downtowns, stable and friendly business environments and transit improvements, says Rose. "Ride the UP Express train in Toronto," Rose says of the rail service between downtown and Toronto Pearson International Airport. "I'll never get into a taxi or an Uber. The train is comfortable and less expensive. I'm a CEO and chairman, but I don't need a driver and a car. I love that train." So might Amazon, which still counts Toronto among its candidates for its HQ2 project. "It would be an unbelievable project," Rose says of HQ2. Either way, Canada is clearing its own path. "Canada is open for business, not reckless," he says. "Is Canada going to continue to be the recipient of global business growth? Absolutely." "Intense competition for office space continues to bolster office market fundamentals across Canada — especially in downtown markets," said Bill Argeropoulos, principal and practice leader, research (Canada) for Avison Young, on the August release of the firm's mid-year 2018 North America and Europe Office Market Report. "Demand from traditional sectors is being augmented by the proliferation of domestic and global technology and co-working firms, ongoing urbanization and a burgeoning millennial workforce — all part of Canada's emerging innovation economy." "We are in a sweet spot," Rose says. GDP and employment growth and low interest rates have resulted, "and it's just setting up very well whether you're in major, secondary or tertiary markets." Many of those markets appear in this year's Canada's Best Locations, where we salute the top provinces and top metro regions for their private-sector facility investment and job creation performance, considered on a cumulative and per-capita basis based on qualified project data from Conway Analytics' Conway Projects Database. "We are pleased to commence development of the North and final tower at Bay Adelaide Centre with highly respected financial institution, Scotiabank, as the lead tenant." Programs & Initiatives: The ministry and its investment office continue to champion programs such as the Red Tape Challenge, which is fielding input from seven sectors (including automotive, chemicals, financial services and tourism) on removing unnecessary regulations. As of 2017, the province's burden reduction initiatives have reduced business costs by $152 million since 2011. Did You Know? In addition to registering the lowest downtown vacancy in North America (2.2 percent) at mid-year 2018, Toronto had the most overall (8.5 msf) and downtown (7.2 msf) office space under construction in Canada. "In France, when you try to grow your customer base, companies' doors are often closed to you. Here in Québec, customers are more open." Programs & Initiatives: From 2016 to 2018, Invest Québec invested $1 billion in funding in partnership with the Government of Quebec to support manufacturing companies that have created investment projects worth $3.9 billion. Did You Know? Census numbers show that close to 54.4 percent of Montreal's population speaks English and French and the metropolitan area is now Canada's most trilingual city, with 21 percent of the population speaking at least three languages. "Together with business leaders, we are building on our strengths in energy, petrochemicals, agri-business, forestry, life sciences and tourism, creating a stronger, more diversified Alberta." "The competition for brains, vision and capital is fierce." Programs & Initiatives: In 2017 the organization brought Startup Calgary under its umbrella, and also welcomed a $100-million commitment from the city to the Opportunity Calgary Investment Fund. Calgary Rising is a new program inviting capital partners to invest in Calgary infrastructure projects. Did you know? Calgary was just named by The Economist Intelligence Unit as the most liveable city in North America, and fourth globally. "Coupled with CN's order for 350 centrebeam lumber cars, this additional 1,000 grain car purchase will result in the hiring of more than 550 additional people at our Hamilton facility, which currently employs over 1,500." 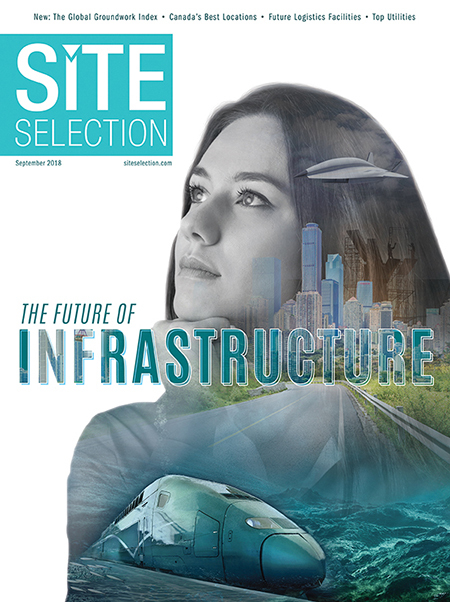 Programs & Initiatives: "The Bayfront Industrial Strategy will ensure the efficient use of Hamilton's working waterfront while improving environmental conditions," says Avison Young Principal John Bar, "and the city's capital program for Shovel Ready Employment Areas will continue to bring greenfield lands on stream." Did you know? Hamilton has recently added more than 1,000 acres of employment lands abutting the John C. Munro Hamilton International Airport (Canada's busiest overnight express cargo airport and fastest-growing passenger airport). "In addition to extensive infrastructure improvements and the development of Dundas Place, there are currently 10 high-rise projects in various stages of completion which, once finalized, will create more than 3,000 new units in the downtown core." Programs & Initiatives: Between 2001 and 2017, the city sold approximately 619 acres of industrial land. London's newcomer strategy is a program to welcome and integrate immigrants into the fabric of the city. Did You Know? In April, Western University in London, with enrollment of 30,000, opened its $47-million Western Interdisciplinary Research Building (WIRB). "Mississauga is Canada's sixth-largest city and is arguably the core industrial market for all of Canada, with more than 188 million square feet (22 percent of the Greater Toronto Area's 815 million sq. ft.) of established inventory." Programs & Initiatives: Mayor Bonnie Crombie and EDO leaders went on a trade mission to Japan in 2017 — Mississauga, with 100 Japanese companies, accounts for over a half of Japanese companies in Ontario. In 2017, a new life sciences cluster strategy was approved by city council. Did You Know? Served by seven major highways and with Toronto Pearson International Airport at its doorstep, Mississauga is home to 60 Fortune 500 company headquarters offices. "The industrial market has changed over the last few years with vacancy rates dropping to unseen values and frequent opportunities to develop industrial properties off-island." Programs & Initiatives: The federal and provincial governments will each allocate $1.3 billion toward the new $6.3-billion Réseau Express Métropolitain (REM) rail transit network, scheduled to start operations in 2024 and connect the south and west boundaries of the Greater Montreal Area to the rest of the city's transit system. From the same entities, Montreal is expected to receive close to $200 million over the next five years for a new innovation campus. Did you know? Hubert Bolduc, President and CEO of Montreal also serves as interim chair of the Consider Canada Alliance, a 13-region coalition of investment promotion agencies representing 59.6 percent of Canada's population, 65.1 percent of its GDP and 83.4 percent of Canada's GDP growth in the five years ending in 2017. "Venture13 is one of the most exciting projects ever undertaken in Eastern Ontario, and I firmly believe it will be the crown jewel in any ongoing innovation strategy for the region." Programs & Initiatives: Based in the university town of Kingston but with over 140 members, the Ontario East Economic Development Commission represents more than 200 communities. Its key sectors are advanced manufacturing and materials technologies, logistics, food processing, rural innovation and investment tourism. Did You Know? KPMG has calculated operating costs in Toronto to be 12.3 percent higher than communities in Eastern Ontario. "The Foreign Trade Zone point will support the development priorities of the Port of Québec, Jean-Lesage International Airport and the new regional industrial port zone, thus strengthening Québec City's position as the European gateway to trade in North America." Programs & Initiatives: A federally backed artificial intelligence supercluster will include the SCALE.AI project in Quebec City. Meanwhile, "we are aware that labor shortages are the primary concern for the coming year," said Carl Viel in January. "With that in mind, Québec International will redouble its efforts this year and increase the number of initiatives to attract the workers we need to the area." Did You Know? A January 2018 survey of 175 company leaders in the metro area found that 79 percent of respondents plan to invest in their companies in 2018, the highest level since 2012. "Sarnia-Lambton represented a tempting choice for the ownership of NOVA because of its proximity to three existing NOVA Chemicals manufacturing sites, existing pipelines and transportation infrastructure, however, we believe the local leadership with NOVA and our community earned this opportunity." Programs & Initiatives: The Sarnia Lambton Industrial Alliance (SLIA) is a coalition of over 30 Sarnia-Lambton companies in manufacturing services. Local leaders continue to push for development of an oversized load corridor that will involve upgrading roads and Sarnia Harbor. Did You Know? In addition to the Blue Water Bridge (Ontario's second-busiest international crossing for commercial trucks), CN Rail's international tunnel connects Sarnia-Lambton to Michigan under the St. Clair River. "Near-record-low vacancy and rising rents in both the office and industrial markets coupled with strong demand are pushing developers to deliver ever more new space despite rising construction costs and permitting delays." Programs & Initiatives: The VEC says one in 15 Vancouver residents already works in the green economy, but in March, the region announced the the beginning of a year-long collaboration with economic theorist Jeremy Rifkin's team in order "to transition Greater Vancouver into a smarter, greener and connected region and economy." Did you know? The total spend of B.C. 's film & TV industry more than doubled from an estimated $1.6 billion in 2012 to $3.8 billion in 2017, much of it in Vancouver. "The Winnipeg Whiteout Street Parties confirmed Winnipeg's reputation as a modern, energetic and cosmopolitan city. We are world-class, and we have the passion to match it." Programs & Initiatives: Since its inception in 2011, the YES! Winnipeg program's results have included investment in the initiative from 100 local companies; 82 firms successfully created, relocated or expanded; 4,801 jobs created; and more than $577 million invested at maturity. Did You Know? "We are Canada's best kept secret," says Wes Schollenberg, Avison Young's managing director, Winnipeg, noting the area's affordability. In 2017, the average market cost was $330,000 for a two-story detached house, and $250,000 for a two-bedroom condo. The whiteout parties during the Winnipeg Jets’ 2018 NHL playoffs drew more than 120,000 to downtown streets.